In today’s tight labour markets, one of the most valuable investments organizations can make is in the identification and development of its future leaders. By the nature of their role, organizational leaders influence the course of business and it is extremely critical to identify high potential candidates (HiPos) who can be groomed into future leaders for high accountability roles. But how do you identify a HiPo? What are the indicators of a star performer? Here are five traits recommended by industry experts as must-haves in potential leaders. In addition to these, creativity, communication and positive attitude, are some of the most sought-after attributes when it comes to measuring the leadership quotient of a candidate. However, assessment of attributes that fall under the category of soft skills often poses a challenge for HR professionals. Over 60% of recruiters find it difficult to assess candidates based on non-technical skills. This is one of the principal reasons why businesses fail to create a strong pipeline of leadership talent. Here are three ways you can use scientific assessments to identify candidates with leadership potential - both internally and externally. The primary step to building an effective succession plan is to hire the right candidates with high potential as it is hard to change the core personality construct of an individual. The right mix of assessment tools are critical to making data-driven, accurate hiring decisions. According to the Talent Board’s research, job simulations and culture fit are two popular screenings that are being implemented by recruiters to match A-list talent with high responsibility roles. ‘Cultural fit’ assessments can be used to evaluate the background and personality traits of candidates to decide if they add to the cultural diversity of an organization. Similarly, ‘job simulation’ assessments are useful in comparing the soft skills and attitude fitment of candidates with those of others (with similar qualifications and technical experience). Analytical tools also eliminate the possibility of leaders choosing candidates who resemble them closely in personality traits, thus enhancing diverse thinking within the organization. Recent cases of ethical breaches and the growing percentage (3.6% to 8.8%) of CEO dismissals in developing markets, including India, has alarmed organizations and pushed them to implement tests to assess the overall personality of their potential leaders. Organizations are looking beyond technical competencies and work experience, and using algorithm-driven leadership assessments to measure qualities such as political skills, business ethics and emotional intelligence to identify their future leaders. These AI-based tests ususally contain unstructured and open-ended questions for more in-depth evalaution as Machine Learning (ML) enables HR managers to score the answers in a more practical and efficient way. Millenial employees (91%) are more inclined towards leadership roles and are open to seeking mentorship to help prepare them for more diverse responsibilities. Fill in the gaps in the current performance is a necessary first step to leadership development. Assessment tools are critical enablers in this regard. From AI-based questionnaires to neuroscience inspired games, advanced scientific techniques can help assess employee skills - ranging from cognitive to emotional. The next step is to define success for each of the leadership roles and then work backwards to devise appropriate learning and development (L&D) plans for employees. Using assessment-based recruitment and training programs for future leaders is not limited to the Silicon Valley. 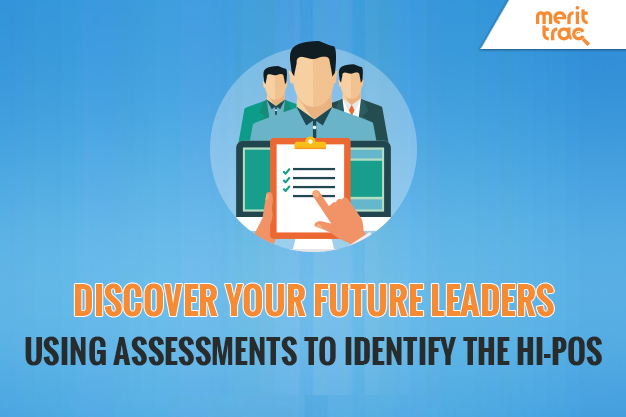 While industry giants such as Google and Facebook implement assessment methods to assess talent and nurture future leaders, the number of companies adopting these methods across industries and geogrpahies is growing exponentially – a clear indicator of the strategic role that scientific assessments play in discovering and developing future leaders.